The Consulate General of Nepal in Hong Kong Special Administrative Region (SAR) of People’s Republic of China (PRC) – one of the five consulate General offices of the Government of Nepal – has been in operation since 7 April 1997. Subsequently, the Government of Nepal appointed Mr. Pradhhumnna Bikram Shaha as its first Consul General entrusting him to set the mission and commence its services. Before the transfer of Sovereignty of Hong Kong to the PRC, Consular Services were provided from the then Royal Nepalese Liaison Office, Hong Kong. The Consulate General of Nepal in Hong Kong Special Administration (SAR) of the People’s Republic of China (PRC) is committed to further strengthening the commercial, economic, cultural relations between Nepal and Hong Kong/Macao SAR focusing on activities in the areas of trade, transit, tourism, and investment while protecting the interest of Nepal and the Nepalese, both individuals and corporate bodies, and promoting the prestige, image and dignity of Nepal in Hong Kong/Macao SAR. Furthering the development of commercial, economic, cultural and scientific relations between Nepal and the Hong Kong SAR and Macao SAR of the People’s Republic of China, including promotion of trade, tourism and investments. Issuing passports and travel documents to the Nepalese nationals residing in Hong Kong SAR and Macao SAR and issuing visas and dissemination of relevant information to persons wishing to visit to Nepal. Helping and assisting the Nepalese nationals, both individuals and bodies corporate. Providing consular services to Nepalese nationals and assisting for the compliance of the terms and conditions of employment, where appropriate within the provisions and limits of rules and regulations of the government of Hong Kong SAR and internationally agreed principles. Safeguarding, within the limits imposed by the laws and regulations of the Hong Kong SAR, the interests of minors and other persons lacking full capacity who are nationals of Nepal, particularly where any guardianship or trusteeship is required with respect to such persons. Performing any other functions entrusted to the Consulate General by the Government of Nepal. 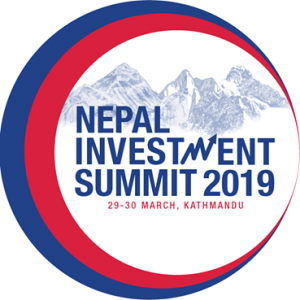 Register now to participate, explore and encourage for the investment in Nepal.